When women can’t speak up, a chorus of voices should rise to their aid, though that often seems like too much to hope for. 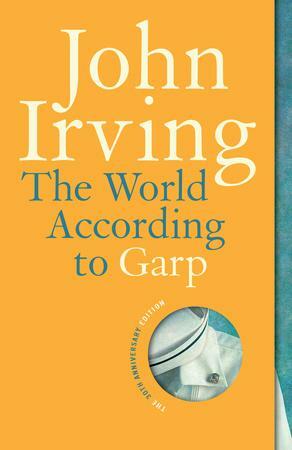 John Irving understands this in a way most male writers don’t or can’t. Beamish came to the girl’s defense, despite feeling worried about her own safety. When the man declared he was going to take a photograph of the girl’s crotch, saying it was for her own good, Beamish stood in front of her to prevent him. Beamish stopped the man from following when the girl switched cars at the next stop. The man then followed Beamish herself as she exited the train at her stop, and he moved to enter the same car as the girl. Beamish entered the car, and stayed with the girl for the duration of her ride, even after the man exited the train. Once she’d ensured the girl was safely at her stop, another woman on the train thanked Beamish for intervening, but said that the younger girl should have known better—that the attention was due to the way she was dressed. Many passengers thanked Beamish once the man left the train, but none of them spoke up when the girl needed help. This girl’s experience exists on a spectrum of abuse and silencing, and as these things go, it’s on the gentle end. Life requires solidarity. Sometimes, you can find that solidarity in human form. Other times (taking a long-haul ocean journey, living in a Forest Fire Lookout, working in a sea of micro-aggression), you must seek it out in books. The forces placed upon us are limiting, and the fight to make oneself heard is rarely easy or romantically rendered, but it is vital all the same. When women find themselves unable to speak up, a chorus of voices should rise to their aid. Sometimes, a lone ally on a subway car is all there is. Often, even that is too much to hope for. 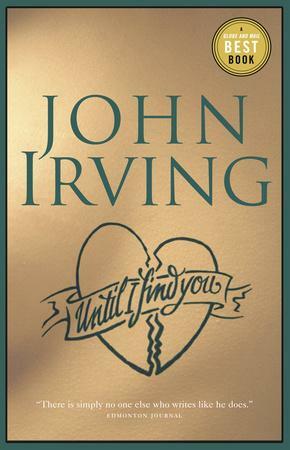 John Irving understands and expresses this in a way most male writers don’t or can’t. Though he’s said he doesn’t describe himself as a political writer, his work gives life to human causes, like abortion rights, that are too often marginalized and gendered. He crafts female characters whom strain against the binds of expectations in a way that isn’t clichéd or fetishized. 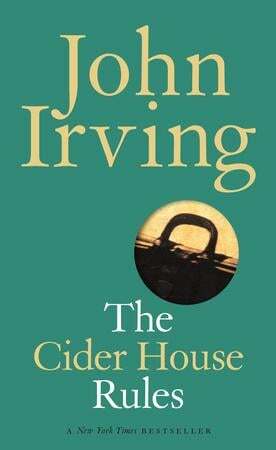 Fiction requires faith, a suspension of disbelief, a buy-in to the rules of a crafted universe, and faith is a recurring force in Irving’s prose. But faith needs something to challenge it. There’s Melony, from The Cider House Rules, who is destructive and right. There’s A Prayer for Owen Meany’s Hester, who is self-destructive and right, but the world is wrong. And there’s Dorothy, a central figure in Avenue of Mysteries who may or may not be real, and may or may not be right, but she is always right there, as perpetual and unpredictable as death. In the introduction to Streetwise, a book of photographs by his friend Mary Ellen Mark, Irving writes: “The characters in any important story are always victims; even the survivors of an important story are victims.” Here, three of Irving’s victims, who refused to be a convenient vehicle for the status quo. Melony looms large over The Cider House Rules. Her very name discordant, the result of the 1930s equivalent of the swipe of a Starbucks wax pen: the wrong key hit on a typewriter, switching the d on her birth certificate for an n.
She and Homer Wells, the novel’s protagonist, grow up in the same orphanage. They fall into an inevitable sexual relationship that is almost incidental to the importance of their bond. They are the two oldest children at St. Cloud’s, and Melony insists that Homer promise not to leave her there. Homer does. So Melony goes looking for him. She lumbers through the novel’s narrative demanding space. That she is not the protagonist of the novel is crucial to her success as a character: she is the perfect expression of the many, many women who find their feelings treated as peripheral. But Melony is not going to sit on the periphery. On her search, she finds love and happiness and a place to put her anger. She finds work and friendship and a sense of purpose beyond her search for her old friend. And eventually, she finds Homer. When she does, she doesn’t like what she sees. Melony is the novel’s hero, because she’s the person who reminds its protagonist that he has a responsibility to do something heroic. She is a force of nature, and she believes him capable, and so he must be. The novel spends much of its time considering “God’s work,” and what is God’s work if not bullying the good out of everyone we can? A mantra of sorts runs through The Cider House Rules: being of use. 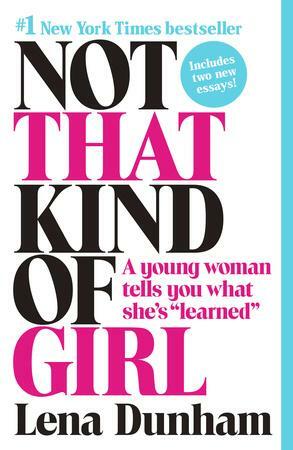 Lena Dunham writes it another way, in her collection of essays Not That Kind of Girl: “You are a tool being put to its proper use.” Much of the novel centers on Homer’s resistance to the ways he can truly be of use. Melony’s path, her contribution, is less clear. While Homer passively accepts the circumstances of his life, Melony aggressively engineers her own. And in the end, she engineers Homer back where he belongs. For Melony, being the human equivalent of a muscle tensed in rage, tender and ready, is the proper use. Melony is a tool, yes, none of us can avoid that. But she is of use. 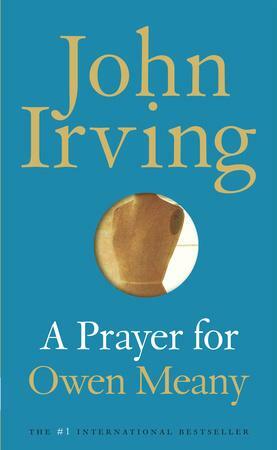 Fiction requires faith, a suspension of disbelief, a buy-in to the rules of a crafted universe, and faith is a recurring force in Irving’s prose. But faith needs something to challenge it. 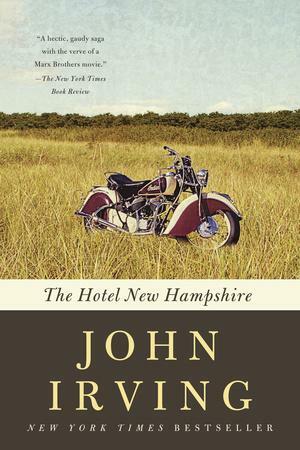 “Hester would expand her own horizons in directions conceived to educate her parents regarding the errors of their ways,” the book’s narrator, her cousin Johnny, tells us. Hester is Owen Meany’s lover. Owen, preoccupied with doom and destiny, is perhaps not an ideal life partner. Hester treats her love for him as fact and does not run from it, but she refuses to go to his funeral. As a character, Hester is unashamed and unpredictable, a disruptor from the get-go. A woman who, when presented with an unjust environment, chooses to question it at every step, despite the deep discomfort or danger it causes her. A woman who, when presented with a lover who thinks he is an instrument of God, reminds him that he’s also mortal. From where does conviction draw its power if not resistance? Hester loves Owen, and Owen loves Hester, but Owen has a Destiny, and their love is ultimately doomed. Owen’s faith in his mission is strong and admirable, but Hester, though she seems to be the jolt of reason in the whole Prayer enterprise, possesses a faith of her own. It’s a faith that is alchemical: in an impossible world, we can perhaps carve space for ourselves by demanding better of those around us. It’s a faith Melony would be able to get on board with. Don’t watch TV until everything’s in colour, and the colour’s perfect. 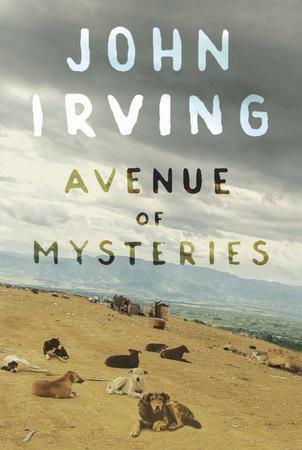 In the introduction to Streetwise, Irving describes the accompanying documentary made by Mark’s partner as being “as concrete and inevitable as a good novel.” There is comfort in that which is concrete and inevitable, even if what’s inevitable is doom. We meet Dorothy and her mother in a first-class airport lounge, servants of Anubis with printed itineraries. They jostle and organize Juan Diego, the protagonist, through a trip that will take him from JFK to Hong Kong to the Philippines to his death. (It should be noted that in a forthcoming interview with Hazlitt, Irving told me that he doesn’t think revealing Juan Diego’s death ruins the experience of reading the novel.) Hester won’t attend Owen’s funeral, but Dorothy is on the scene to hasten Juan Diego’s. Dorothy is an agent of the concrete and inevitable; she is an agent of death. She is death manifest as too much life, coming at you all at once. She is the human embodiment of the last three days of your vacation, your year, your existence, rushing to experience everything you can before the end. She is the spiritual sister of Hester and Melony, unshackled from their worldly concerns and thus able to exert her commanding force at will. The other day, I was on the subway on my way home from work. A teenaged girl stood between two male friends at the front of the car. They spoke over her, literally, for the entire ride, discussing music in the space above her head. She interjected regularly, sometimes noting that the two of them were wrong. But her voice was lost in the void of their self-interest—from their response, you wouldn’t know she was talking at all. I wanted to introduce her to Melony. How a Yukon art project became a national phenomenon of sold-out shows, dream selves and subversive sexuality. Editor’s Note: This instalment contains flashing images.